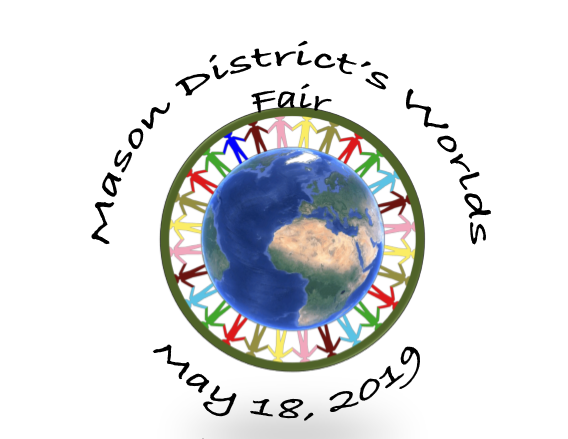 The Mason District Democratic Committee invites you to celebrate our diverse community and unified goals with food, entertainment and conversations from around the world. Tickets include one entrée and two beverages of your choice as well as all entertainment. 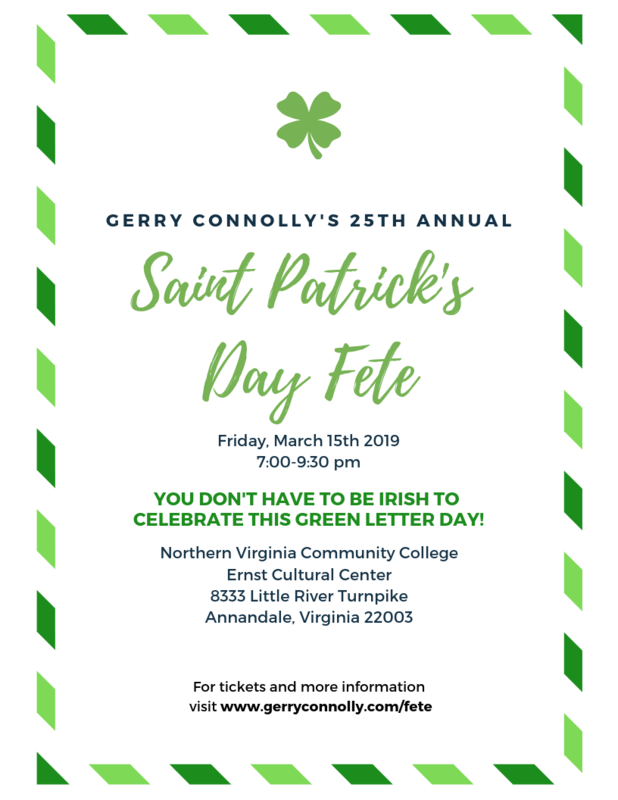 Tickets are NOT refundable in the event of inclement weather. Your contribution may be used in connection with federal elections and is subject to the limitations and prohibitions of the Federal Election Campaign Act. Contributions that comply with the limitations and prohibitions of the Federal Election Campaign Act will be deposited into the FCDC Federal account, and unless otherwise designated for non-federal purposes, will be used in connection with Federal elections, and are subject to the above limitations and prohibitions. Other contributions will be deposited into the FCDC nonfederal account. Federal and Virginia state law require political committees to report the name, address, occupation and employer of individuals whose contributions aggregate in excess of $100 and $200, respectively, in a calendar year. 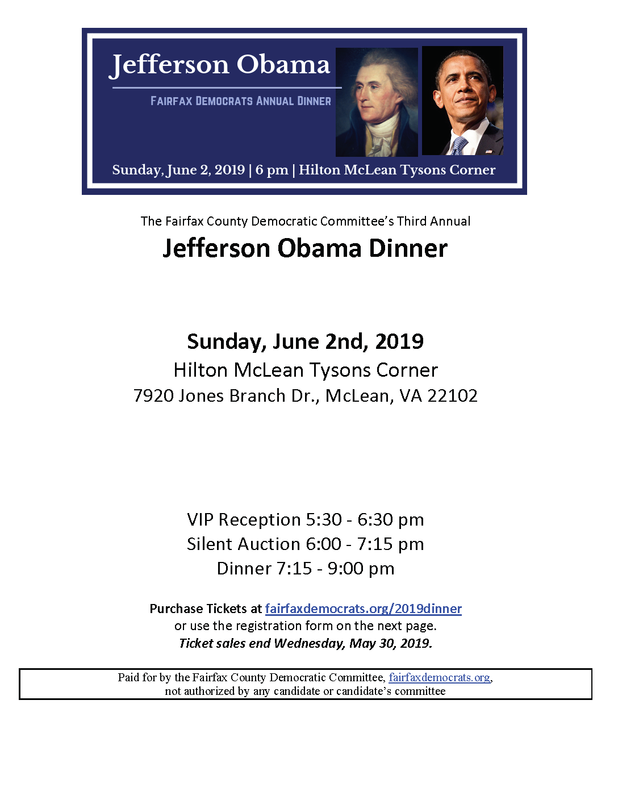 Paid for by the Fairfax County Democratic Committee, www.fairfaxdemocrats.org, not authorized by any candidate or candidate’s committee.